Badminton Wycombe offers reduced court charges for individual one-to-one coaching (i.e. coaching is only being given to one person during the booking) with select qualified coaches. You can even book your court at the reduced rate online (Book a Court). Please remember to confirm with your coach their availability prior to booking a court. Not sure which coach is right for you? Please use the Coaching Enquiries Form to detail your requirements. We will forward it on to the appropriate coach. Further information about the top coaches based at Badminton Wycombe can be found below in the Coach Profiles. This reduced rate is for individual one to one coaching only. Maximum of two peak sessions per day. You must be a member of Badminton Wycombe to book courts and coaching. My name’s Natalia Mitchell and I’m number one in Oxfordshire for women’s singles and compete in the Oxford county’s first team in division one. I started playing competitively when I was 12 years old and have worked my way up the ranks to a full time player. I still compete internationally and regionally at a high level and I am ranked top 20 in England in all three disciplines. 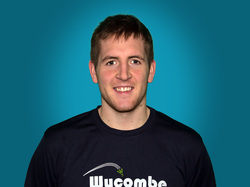 I train full time at the Wycombe Badminton Centre, with George Bevan, Gary Fox and Daryl Jacobs as my coaches. I have also been coached by England coaches Dave Lindley and Kathryn Hurrell when competing internationally. I specialise in doubles and mixed but still have a very good knowledge in singles from competitions and training. I hope to pass on my tactical and technical knowledge to other keen players wishing to learn new skills, as well as playing styles that are used during top level competitions! 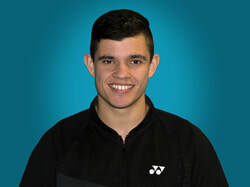 My coaching background: I started as an Assistant coach for the Oxfordshire junior county squad and have moved to grass roots coaching with Community Badminton. I have been mentored by Julie Bradbury, who represented England during her career and I am now the head coach for Community Badminton at Wheatley Leisure Centre. Prices and Availability: For Individual lessons I charge £20 an hour.